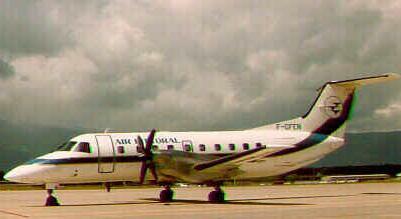 April 5, 1991, Brunswick, Ga., Senator Towers along with 22 on board a Embraer 120 RT crashes killing all on board. Witnesses reported that the airplane suddenly turned or rolled left until the wings were perpendicular to the ground. The airplane then fell in a nose down attitude. Exam of the left prop components indicated a blade angle of about 3 deg, while the left prop control unit (pcu) ballscrew position was consistent with a commanded blade angle of 79.2 deg. Extreme wear on the pcu quill spline teeth, which normally engaged the titanium-nitrided splines of the prop transfer tube, was found. The titanium-nitrided surface was much harder and rougher than the nitrided surface of the quill. Therefore, the transfer tube splines acted like a file and caused abnormal wear of the gear teeth on the quill. Wear of the quill was not considered during the certification of the propeller system. The NTSB reports the probable cause was the loss of control in flight as a result of a malfunction of the left engine propeller control unit, which allowed the propeller blade, angles to go below the flight idle position. Contributing to the accident was the deficient design of the propeller control unit by Hamilton standard and the approval of the design by the federal aviation administration. The design did not correctly evaluate the failure mode that occurred during this flight, which resulted in an uncommanded and uncorrectable movement of the blades of the airplane's left propeller below the flight idle position. Senator Tower was born in Houston, Tex., on September 29, 1925. He served in the U.S. Navy during World War II. He was a U.S. Senator from Texas, from 1961 to 1985. In 1985 he was defeated. In 1989, Senator Tower was nominated for Secretary of Defense in but was defeated amid allegations of heavy drinking and womanizing.